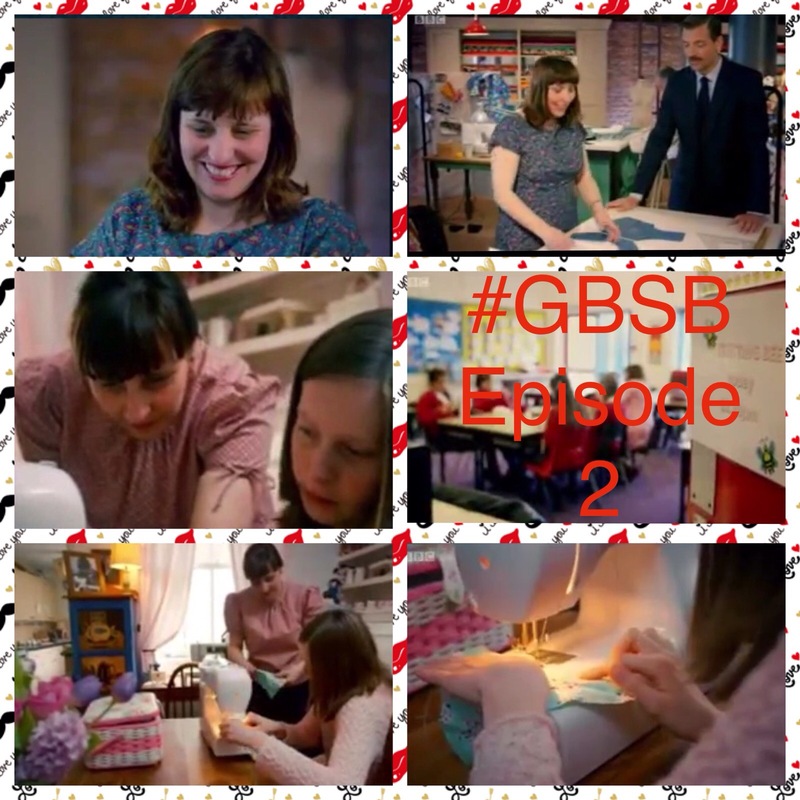 Lisa made me a BEST BITS collage once again. Thanks Lisa. It was tense edge of the seat viewing this week! 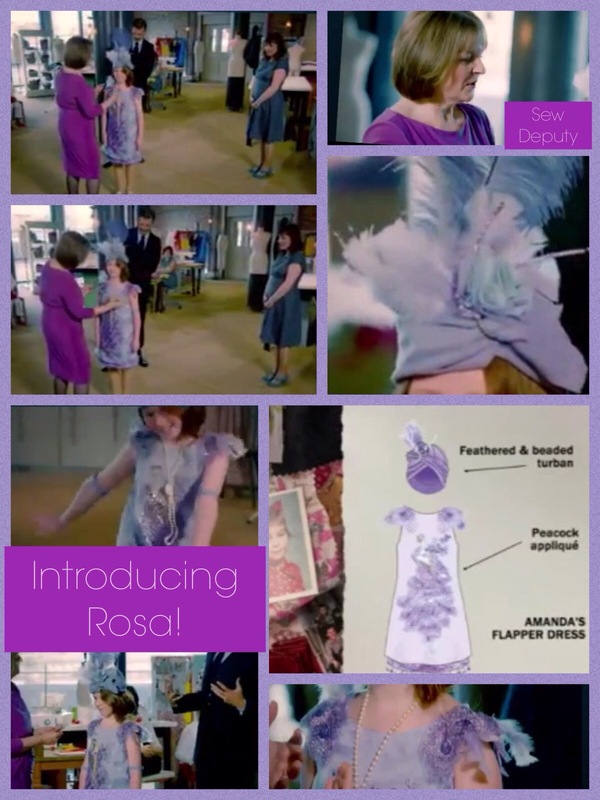 I was so pleased with my 3D embellished fancy dress outfit that Rosa is now my screen saver! Rosa was the most beautiful and gorgeous young lady and I was so happy she was my model. I hope she knows lots about 1920s fashion after her tv debut! 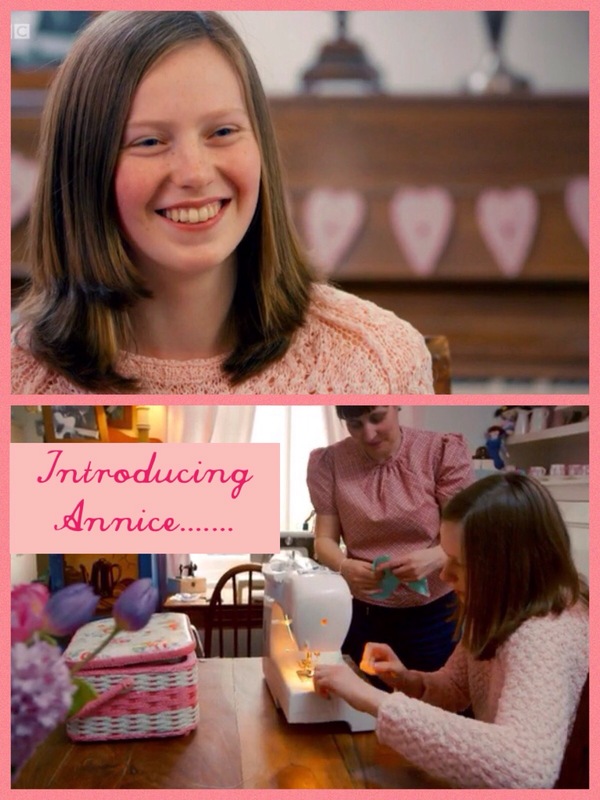 The best bit….her mum got in touch on Friday to say how much she had loved her outfit! 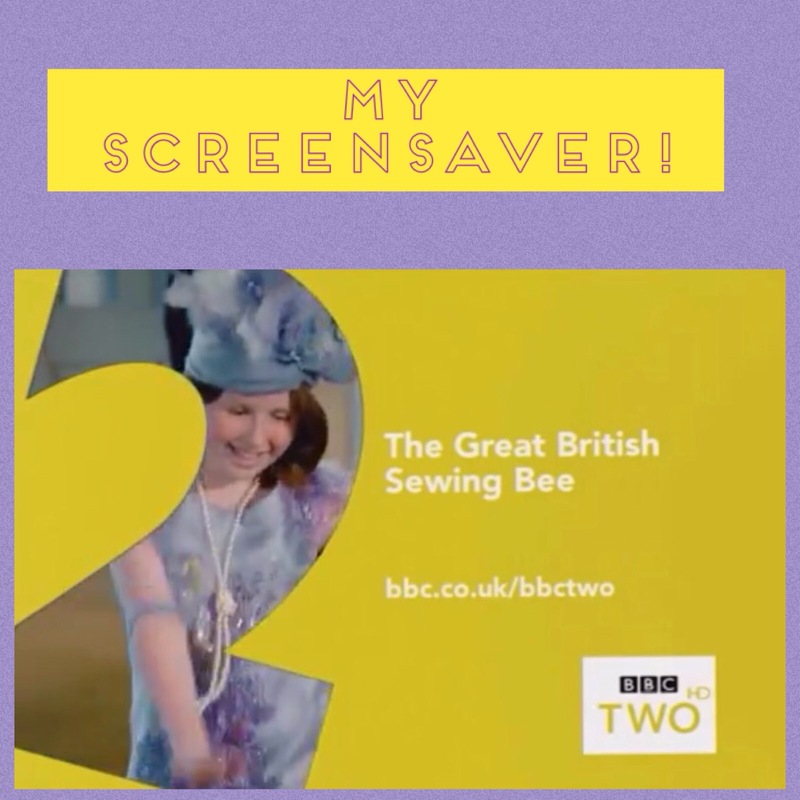 The children at school are still so excited about the programme and it is creating such a magnificent sewing buzz around the place. A pupil who went to secondary school last year called in to see me on Friday to tell me how much he was loving the show!! I like the fact that they will probably remember being part of this all their lives. Media coverage is great from the local press and I was in the news headlines every hour on Star radio on Friday morning and invited for a breakfast show live interview this week! I am part of some of the most amazing opportunities at the minute! A tweet from Simplicity of a pair of glasses when Patrick said perhaps I needed two pairs!!?? A confession to my friend months ago that I was so worried Leon from GoggleBox would be shouting at me led to her tweeting him! 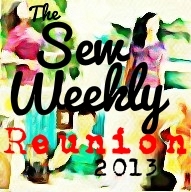 An invite to the Sew Cafe for tea, cake and sewing! 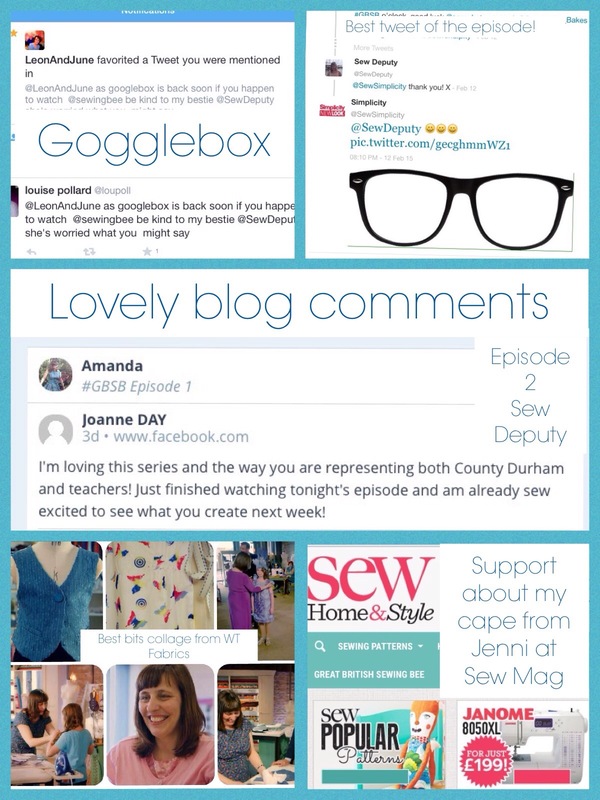 The most heartwarming for me was a comment on my blog about how I was representing teachers and County Durham. I felt so proud! 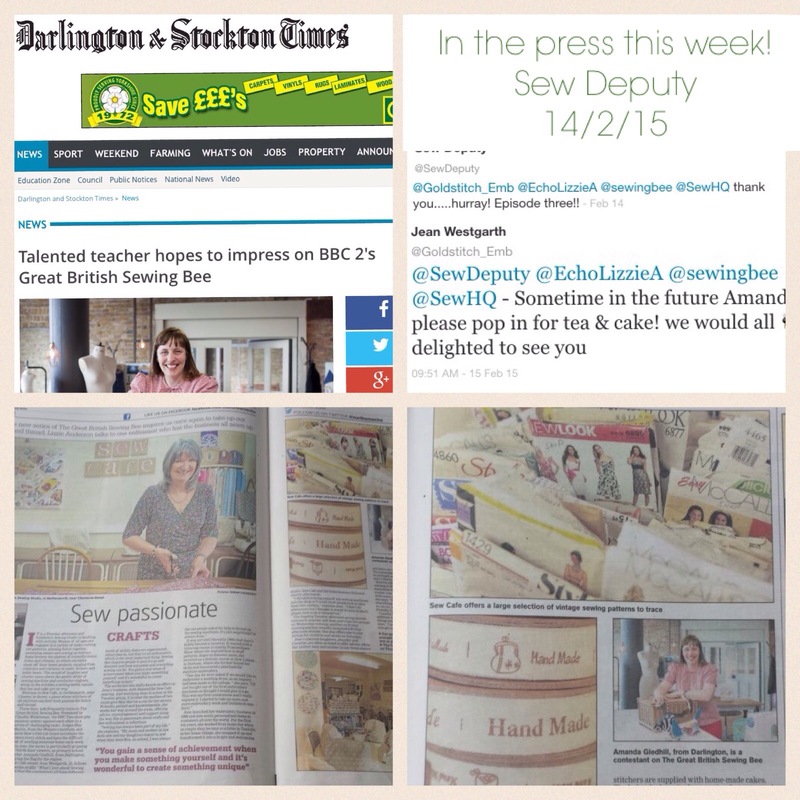 Thank you to anyone who has added one of the fabulous comments on my blog. I haven’t seen Helen this week and Judith has gone to Tenerife so unfortunately no fan photo! 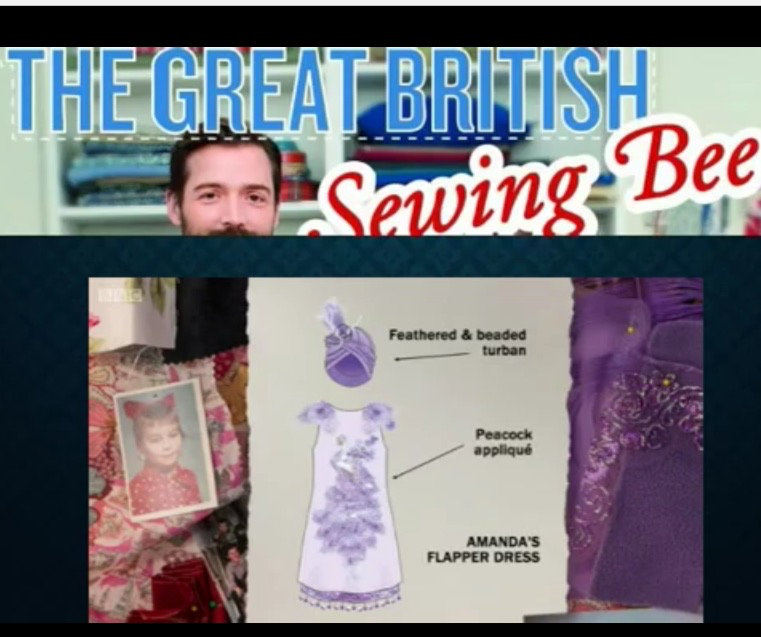 Wonky Factor : 8/9 and 9/9 -terrible scores so the wonky factor has to be 5/10… The flapper dress rescued me!! Bella would ❤️ the flapper dress!! It was beautiful! That little hat was awesome! Although I liked the other costumes as well, yours was actually my favourite. The elephant was really close as well! Keep it up! Can’t wait to see what you come up with next episode! I thought your flapper costume was absolutely beautiful. Thanks for letting me know about the youtube channel, now I can watch without getting virus. Thank you, she looked beautiful didn’t she?? 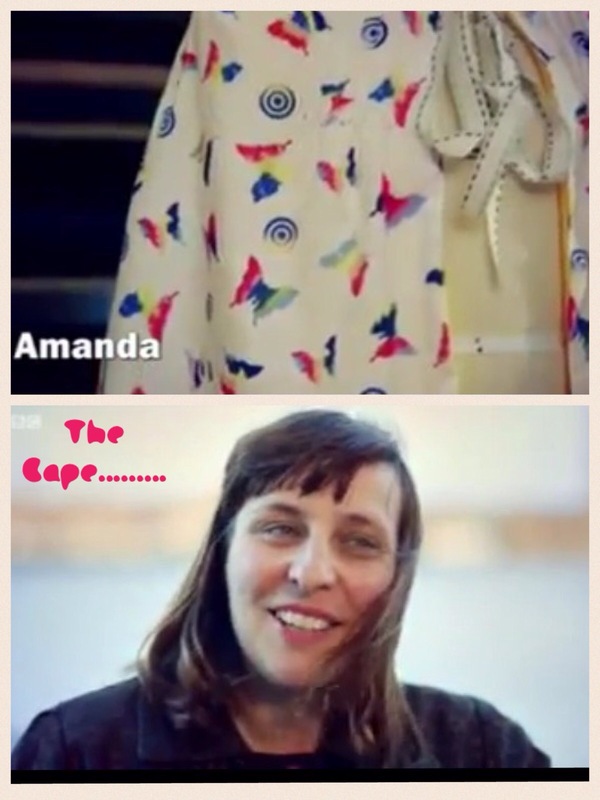 I thought your cape was beautiful, I have seen a lot worse and I’m not always agreeing with the judges! I’m glad your gorgeous flapper dress was 3D enough for them in the end. And your daughter is beautiful (I love her name), she looks a lot like you! Thanks Beth. I spent 8 months worrying about the Cape! Your outfit was briliant! I am curious the next challenges 🙂 SUCCESS! 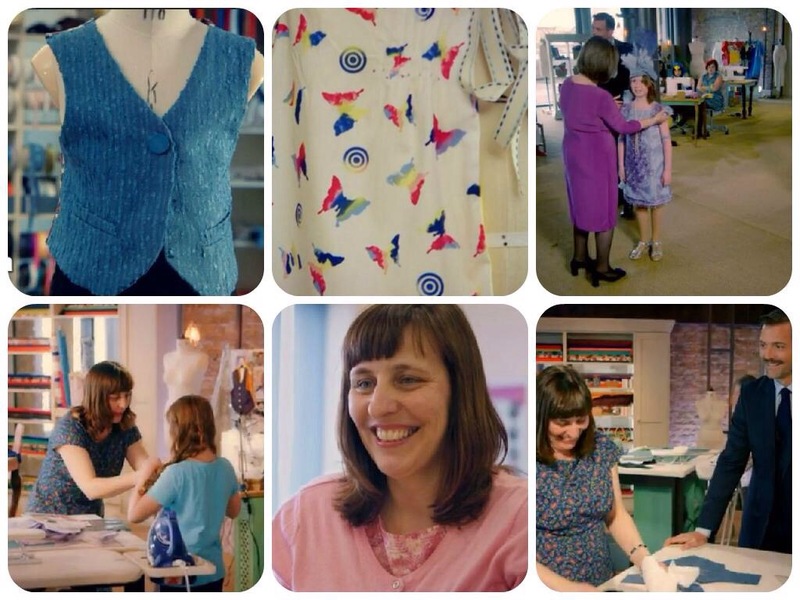 So brilliant that you are inspiring the next wave of sewing enthusiasts – well done you! 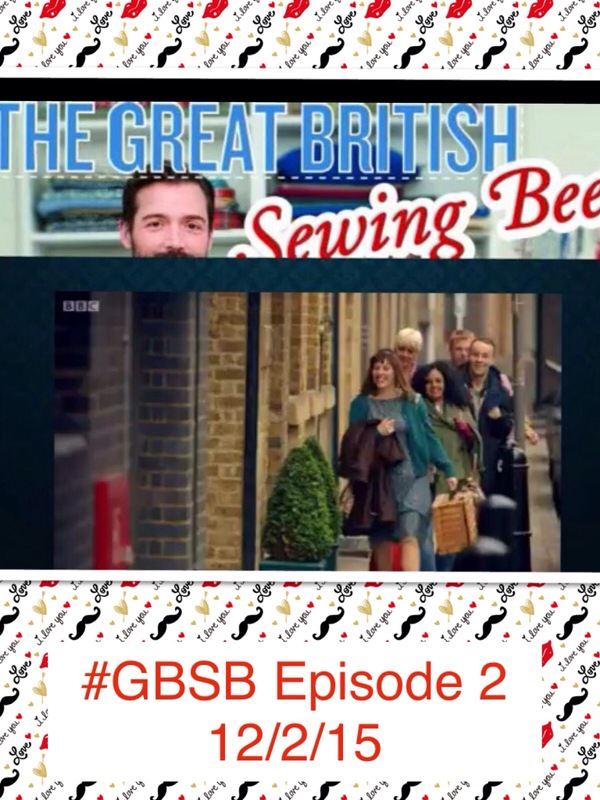 I wrote a post about Gogglebox http://clarindakaleidoscope.com/2015/02/06/claudia-the-calf-wheres-gogglebox-when-you-need-it-welcome-back-great-british-sewing-bee/ after the first episode (please ignore the Anna/Kim confusion!) and am now so excited to discover that it is back on Friday. My two favourite programmes collide….. I bet you can’t wait to hear what the Gogglebox gang make of it all – I know I can’t! I am soooooo scared! Hahaha thank you! Crikey you look like you’re having a busy time! Think you need a PA! ……where I do apply?!? !